Wrexham LSB partners conducted a consultation in September/October 2015 to establish whether the current Equality Objectives were still relevant, needed amending or if anything should be added. Analysis of the consultation feedback confirmed that the Council should continue to focus on the existing Strategic Equality Objectives when implementing or further developing the Council Plan and the Strategies and Plan that underpin it. Since the survey was undertaken the Council has been served with its Final Compliance Notice from the Welsh Language Commissioner and the Standards have come into force. This has resulted in Welsh speaking customer service advisors being made available in the contact centre, both for dealing with customers face to face and over the phone. With regard to Welsh speaking officers in the workforce the Council continues to seek opportunities to recruit Welsh language speakers and the introduction of the Standards has resulted in a strengthening and improving the Council’s recruitment procedures which in turn will hopefully result in more posts being advertised as Welsh essential and filled by Welsh speakers. The Council has recently updated its list of Welsh speakers and all staff have been made aware of how to deal with calls in Welsh and how to contact our internal Welsh speakers. The Council actively seeks to recruit Welsh speakers and has been using different techniques/methods in order to try and reach as wide a Welsh speaking pool of potential recruits as is can and to provide as many opportunities as possible for Welsh essential posts to be filled by Welsh speakers. 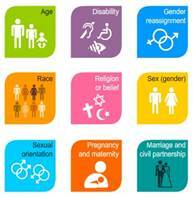 The Equality Act lists a number of characteristics which must not be used as a reason to treat some people worse than others. These are the ‘protected characteristics’. There are also associated specific statutory equality duties for Wales (Equality Act 2010 (Statutory Duties) (Wales) Regulations 2011) that enable a public authority in Wales to meet the general duty. The broad purpose of the specific duties in Wales is to help listed bodies in their performance of the general duty and to aid transparency. Wrexham Council must now complete and submit a new ‘play sufficiency assessment’ to the Welsh Government by the end of March 2016. In the 2016 play sufficiency survey 73% of children rated their satisfaction with their opportunities for play as ‘good’ or ‘great’, 19% rated it as ‘ok but in need of improvement’ and 8% rated it ‘not good or rubbish. This compares with 70%, 20% and 10% respectively in 2013, suggesting an improvement of 3% in overall satisfaction levels. However whilst the 2013 survey included all ages of children, the 2016 survey only involved 9 and 10 year olds (those in year five at school). If only the results from children aged 9 and 10 in 2013 are taken into account then the overall satisfaction levels have increased by more like 5%. In contrast to children, 36% of parents in the 2016 survey rated their satisfaction with their children’s opportunities for play as ‘good’ or ‘great’, 34% rated them as ‘ok but in need of improvement’ and 30% rated them ‘not good or rubbish.’ This compares with 26%, 34% and 40% respectively in 2013, suggesting a 10% improvement in satisfaction levels. Betsi Cadwaladr University Health Board wants to hear views of the people in North Wales on health and healthcare services. What is the Active Travel Existing Routes Map? - Routes that fall within or link settlements specified designated localities within the County Borough of Wrexham. These are: Rossett, Llay, Sydallt, Gresford, Bradley, Tan-y-Fron, Wrexham, Coedpoeth, Rhostyllen, Rhosllanerchrugog, Ruabon, Trevor and Chirk. - Routes that fit with definition of an ‘Active Travel Journey’. Broadly this includes journeys made to or from a workplace or educational establishment in order to access health, leisure or other services of facilities. - Routes that are considered fit for purpose in line with the requirements of the Welsh Governments ‘Design guidance Active Travel Wales (Act) 2013. - 22 January 2016 Submission of the existing route maps to Welsh Government. - 24 September 2017 Submission of the integrated network map and resubmission of the existing route map to Welsh Government. - 24 September 2020 Resubmission of the existing route map and the integrated network map to Welsh Government. Further information about the Active travel (Wales) Act and relevant information documents can be found on the Welsh Governments website. This is our annual consultation. The Council is required to make significant savings in its budget over the next few years and is committed to safeguarding education provision and the most vulnerable people in society. These savings are currently estimated at £45 million over the next 3 years. The provision of library services is a statutory requirement under the Public Libraries and Museums Act 1964. This Act requires the Council to "provide a comprehensive and efficient library service for all persons desiring to make use thereof...." The 1964 Act also enables a local authority to "provide and maintain museums and art galleries". There are also statutory duties on local authorities concerning Archives to make arrangements for the proper care, preservation and management of their records. The Council is seeking to safeguard important and valued services such as local libraries, museums, archives and historical sites when there is less public money to do this. It is not about cutting services to the bone but about enabling them to operate more dynamically and with better links with local communities. The purpose of this consultation is to discover the top issues that affect young people in Wrexham. These issues will influence the work of the Senedd yr Ifanc (Wrexham Youth Parliament). We are consulting on the Council's plans to reshape services and meet the financial challenge, by gathering public views on budget proposals for 2016/17 and beyond. More than 1,700 people took part in the consultation and gave their views about the proposals we made, as well as making some suggestions of their own. The results from the consultation were presented to Elected Members in order to shape the decisions they made about Wrexham County Borough Council's budget for 2016/17.